Well, this is something. We already know that Jurassic Park 4 is coming with a script from Rise of the Planet of the Apes writers Rick Jaffa and Amanda Silver scripting and Steven Spielberg producing. However, years ago a completely different iteration of the project came from William Monahan (The Departed) and John Sayles (The Spiderwick Chronciles). It might be hard to believe but the story saw a secret genetics lab get involved with cross-breeding humans with dinosaurs, giving them problem-solving intelligence and the ability to fire weapons and fight crime, but controlled by human authorities. What?! If you're interested, the source who posted this on Reddit also linked to an old script review of the project and it simultaneously sounds like the most ridiculous trainwreck of all-time and one of the greatest ideas to never get out of development. For my money, I'd love to see how this film would have turned out, but at the same time, I'm all for the likely less peculiar sequel in the works right now. In fact, it almost feels like it could be a weird prequel to Minority Report. Maybe they tried dinosaur cops before predicting the future? Maybe someone can take this idea and run with it for an original film? What do you think? UPDATE: ScreenRant has learned from ILM that this is not their concept art. A representative from ILM says, "Not sure where this stuff came from but it’s not from a production we’ve worked on. Looks like someone’s personal work – ILM doesn’t put © lines on our work like in those images – we don’t own the work – the clients do." 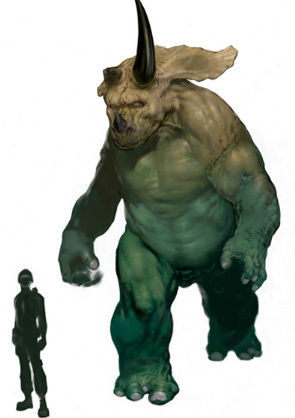 That doesn't mean that this isn't official pre-production artwork, but it does not belong to ILM. Yep...there's a seed of something interesting there. Not sure if fits Jurassic Park very well, but hey, they have to do SOMETHING new. Whatever JP4 is, it CANNOT just be visitors getting stuck on another island and get chased by varying dinos. Is it just me, or is this a complete insult to the original JP? Yeah, because the first Jurassic Park was a masterful piece of art that needs to be respected a great deal. Lose the sarcasm and your comment is spot on. Wow, those are crazy. 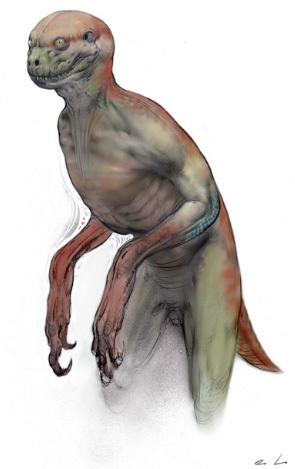 Kinda reminds me of a dinosaur version of Venom crossed with those things from I Am Legend. Only because of the internet we see this madness, I suppose it keeps concept artists in a job. 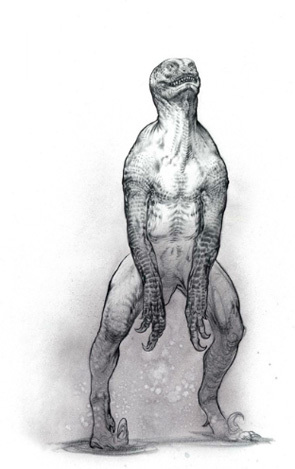 Off topic, but I feel like that's what The Lizard from "The Amazing Spider-man" should've looked like. It sorta fits better IMO. They did! Its called Super Mario Brothers starring Bob Hoskins and John Leguizamo! LOL! Don't forget Theodore Rex! 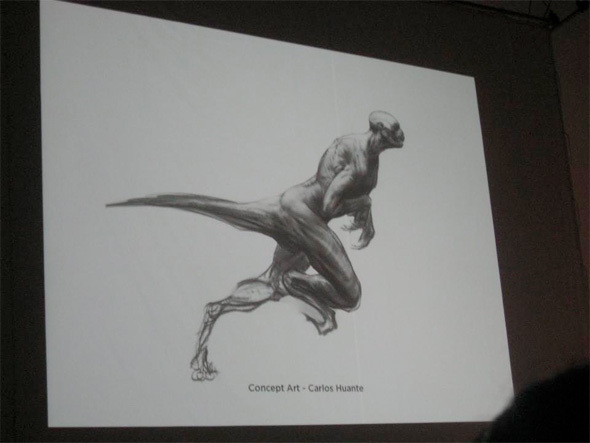 Actually, do..
Great concet art for a horror flick using dino-human hybrids, but JP ?!`? Seriously, the craftsmanship of this obviously preposterous idea is perplexing. 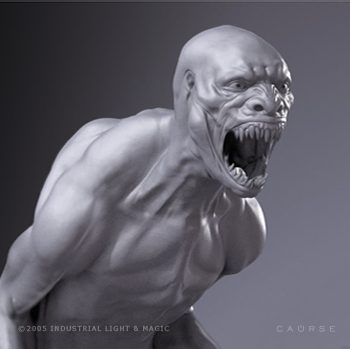 Talented and passionate work for something that would have to grovel for a shot at Syfy? This must be a joke. Either that, or they were years ahead of Snakes on a Plane. Looks like they were going into "The Island of Dr. Moreua" territory...don't ya think? Sounds like a syfy movie. Wow! This reminds me of dino-riders! Wouldn't mind a movie but surely not attached to the JP films. 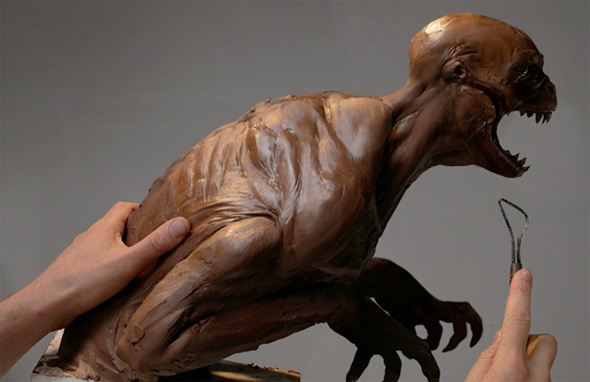 hah, http://i.imgur.com/piZb4.png looks more like the creature that should have been used in the movie 'Relic', instead of that creature they used. 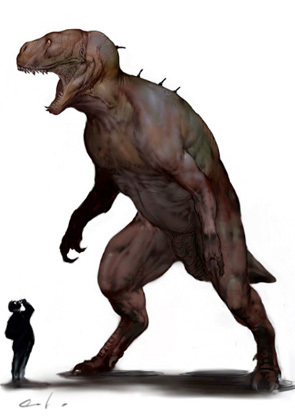 That looks weird coming from a JP film but maybe another corporation arises and successfully fuses both dino / human DNA to use this hybrid as a weapon for warfare. I'm sure they have an interesting plot behind it that would be acceptable into the JP realm. I am glad it never happened. I thought this was a great idea when I first heard about it and I was gutted when it failed to come to pass. No way this will be made now, the internet has declared its disgust and will deservedly be served up another tired offering of people running away from dinosaurs on an island. Excelsior. This franchise ran out of interesting ideas two-thirds of the way through The Lost World when Spielberg decided to remake King Kong. It's ripe for an idea that takes it in a new direction but that's in keeping with the original concept, that man should not play God. It's sci-fi, who says you can't have talking dinosaurs with machine guns taking on the drugs cartels? Imagination-free fanboys and skittish studio heads, that's who. Just read that sentence out loud...now read it again...see how stupid it sounds? The premise of Jurassic Park always seemed kind of silly, a Zillionaire brings back dinosaurs only to open an amusement park way out in the ocean somewhere... Geeeezzz. So why make Jurassic Park IV a part of that? Start something fresh. We want to see cool F/X driven dinosaurs and a great story... start with a great story this time. Reminds me of Rise of Planet of the Apes. And the dinohumans eventually take over. I really want to see another Jurassic Park without silliness. How about they run amok in New York City! They did. It was Godzilla 1998. Can anyone say "Dinosaurs for Hire"? Google it. This is seriously the first thing that popped in my head. Horrific. Doesn't look like a movie for kids. This... that... I... What... am I on acid right now? So, you all mean to tell me that none of you, when hearing "dinosaur cops", remembered that this has been made before? Does anybody still remember Theodore Rex? 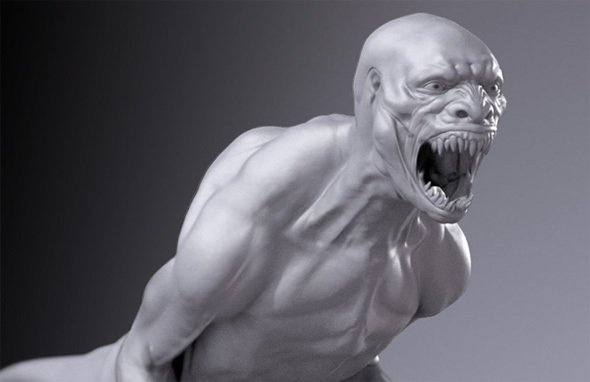 Dino-human hybrid is a good idea for a new kind of horror. But the fact that they fire weapons and fight crime!?! Come on wtf. I expected that they stalked you , eat you, bite your head of etc.... Haha it also sounds like Turok. no, most of you are a bit wrong. JP was always intended as a hidden message. dinosaurs are "reptiles". someone is giving us some clues here. The second last image looks like Baraka from mortal kombat!